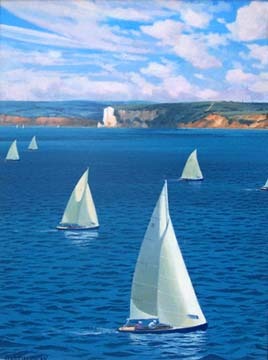 His paintings, with their subtle colours, are both highly atmospheric and successful in capturing the thrill and excitement of yacht racing. 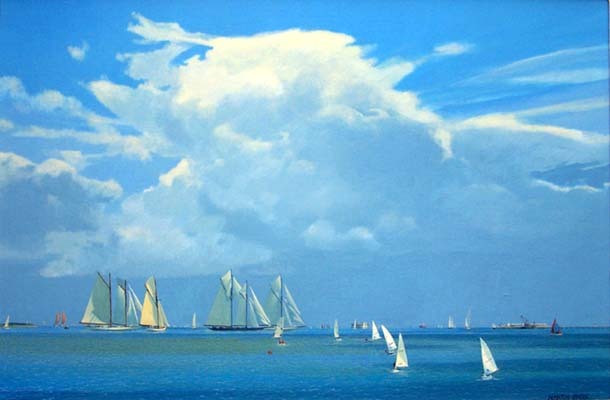 In 2003 Martin was elected an Associate Member of the Royal Society of Marine Artists and now regularly exhibits with them at the Mall galleries in London. He has exhibited extensively in the U.K. and his work is represented in collections all over the world.